Optimizing the performance of any webpage is crucial. This blog gives an insight into the overall process of reforming the whole display and layout of any webpage with accelerated compositing. Style: Matches each DOM element with the corresponding CSS style based on the CSS selector. After this step, the CSS style rule for each DOM element gets determined. 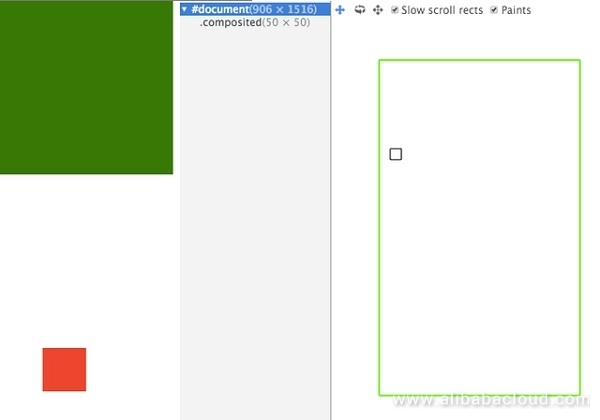 Layout: Calculates the size and position of each DOM element to be displayed on the screen. The layout of elements on a Web page is relative, which means a single element can affect others. For example, in case there is a change in the width of the element, the widths of its child and grandchild elements get affected. Therefore, the layout process often gets involved for the browser. Paint: Essentially, painting is the process of filling in pixels. It requires painting of text, colors, images, borders, shadows, and other visual effects of a DOM element. In general, the painting gets completed in multiple layers. Composite: As mentioned above, the painting of DOM elements gets done at numerous layers on the page. Once it is complete, the browser combines all the layers into one layer in a correct order and displays them on the screen. This process is especially important for pages with overlapping elements as the incorrect layer composition order may result in an abnormal display of the elements. This article will only focus on the "Composite" stage of web development. The following section briefly describes the rendering principles of browsers (Use of Chrome is in the form of an example in this document) before introducing compositing to facilitate understanding of concepts. For more information, see GPU Accelerated Compositing in Chrome. NOTE: As Chrome has modified some implementations of the Blank engine, there is a change in many known class names. For example, replacing RenderObject with LayoutObject and RenderLayer with PaintLayer. For more information, see Slimming Paint. The browser stores the content of a page as a tree consisting of Node objects called the DOM tree. There is an association of each HTML element with a Node object. Similarly, the root node of the DOM tree is always a Document Node. Everyone knows this. However, there is a requirement for the conversion mapping from the DOM tree to the final rendering. Each Node in the DOM tree has a corresponding LayoutObject, which knows how to paint the Node content on the screen. It is the root element (HTML). Has the explicit positioning attribute (relative, fixed, sticky, or absolute). It is transparent (opacity smaller than 1). Has the CSS mask attribute. Has the CSS mix-blend-mode attribute (not normal). Has the CSS transform attribute (not none). The backface-visibility attribute is hidden. Has the CSS reflection attribute. Has the CSS column-count attribute (not auto) or CSS column-width attribute (not auto). Application of animations is into opacity, transform, filter, and backdrop-filter. 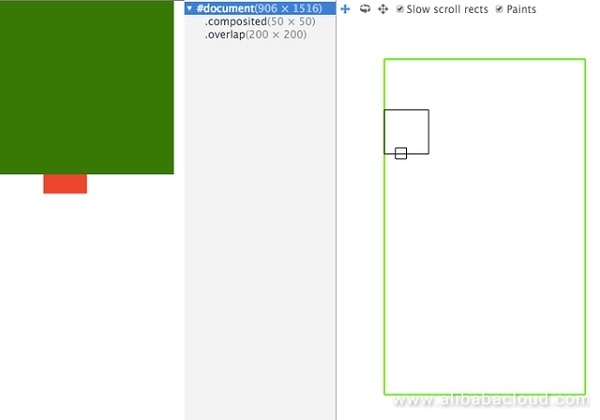 OverflowClipPaintLayer: The overflow is not visible. NoPaintLayer: It is the PaintLayer without painting, for example, an empty div without the visual attribute (background, color, or shadow). A LayoutObject meeting the above conditions have a separated PaintLayer, while other LayoutObjects share the PaintLayer with the first parent element that owns the PaintLayer. Some special PaintLayers are considerable as Compositing Layers. A Compositing Layer has its own GraphicsLayer, and other PaintLayers that are not Compositing Layers share the GraphicsLayer with the first parent layer that owns the GraphicsLayer. Each GraphicsLayer has a GraphicsContext, which outputs the bitmap of the layer. The shared memory stores the bitmap which gets uploaded to the GPU as a texture. Then, the GPU combines multiple bitmaps and draws them on the screen. In this case, the page gets displayed on the screen. NOTE: To upgrade a PaintLayer to a Compositing Layer, the PaintLayer must be a SelfPaintingLayer (which can get considered as the above mentioned NormalPaintLayer). In the following cases, all upgraded PaintLayers are SelfPaintingLayers. Why does overlap generate a Compositing Layer? The following is a simple example. As shown in the preceding figure, the blue rectangle overlaps the green one, and their parent element is a GraphicsLayer. Assume that the green rectangle is a GraphicsLayer. 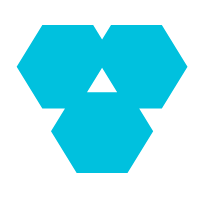 If it cannot be upgraded to a Compositing Layer by overlap, the blue rectangle does not upgrade to a Compositing Layer. The blue rectangle shares the GraphicsLayer with its parent element. In this case, the rendering order is incorrect. Overlap becomes one of the reasons for generating the Compositing Layer to ensure the correct rendering order. The following figure shows the right order. Two layers overlap or partially overlap a Compositing Layer. assumedOverlap at a Compositing Layer. However, this seems confusing. What is assumedOverlap? It is easy to understand. For example, if an element has a CSS animation effect. During animating, the element may overlap other elements. In this case, assumedOverlap gets generated. Example: Demo. In this demo, the animated element does not visually overlap its brother element. However, due to assumedOverlap, the brother element is upgraded to the Compositing Layer. 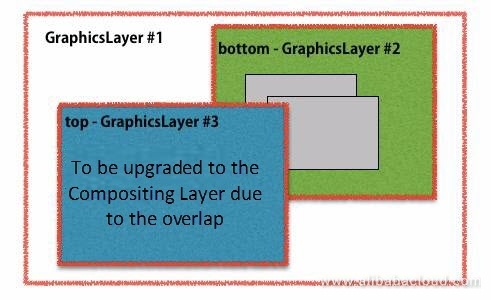 Note the following particular case of this reason: If the Compositing Layer has the inline transform attribute, assumedOverlap occurs for the brother PaintLayer, which gets upgraded to the Compositing Layer. Example: Demo. 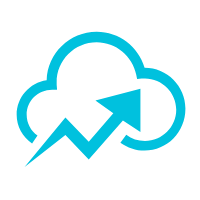 The preceding are common reasons for upgrading a layer to a Compositing Layer. 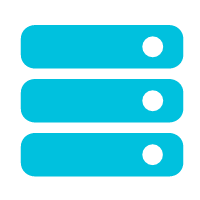 However, due to the overlap, a large number of Compositing Layers may be randomly generated, which consume CPU and memory resources and may seriously affect the page performance. The browser has considered this problem and implemented layer squashing. If multiple PaintLayers overlap the same Compositing Layer, the PaintLayers are squashed into a GraphicsLayer to avoid the "layer explosion" due to the overlap. See the following demo. The blue square is upgraded to a Compositing Layer by translateZ, and other overlapping squares get squashed. The squashed element size is the total size of the three squares. When the green square hovers, it sets its translateZ attribute. 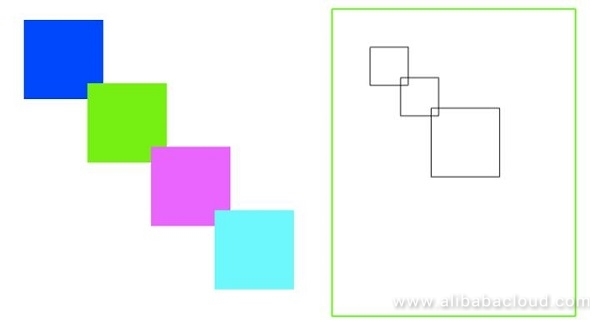 In this case, the green square gets upgraded to a Compositing Layer, and the other two squares get squashed. The squashed element size is the total size of the two squares. In this example, .target overlaps the Compositing Layer .composited. However, as .composited is in the overflow: hidden container, .target and the Compositing Layer have different clipping containers, and .target cannot be squashed. The PaintLayer that scrolls with respect to the Compositing Layer cannot be squashed (scrollsWithRespectToSquashingLayer). In this example, the red .composited layer is upgraded to a Compositing Layer, and the green .overlap layer is fixed at the top of the page. Only .composited is the Compositing Layer. When the page is scrolled and .overlap overlaps .composited, .overlap is upgraded to a Compositing Layer. At the same time, it cannot get squashed because it gets scrolled concerning the Compositing Layer.